Made for those who love everyday products that are functional, stylish, and affordable that never compromise the integrity of the pieces. Basic Essentials® has been an adored brand for nearly 20 years while supplying homes with fundamental culinary tools. Setting out with the goal to release quality products for every budget, we designed and manufactured a number of durable and trendy collections. We believe that with proper functioning and stylish kitchenware, more people will be inspired to explore their culinary creativity. 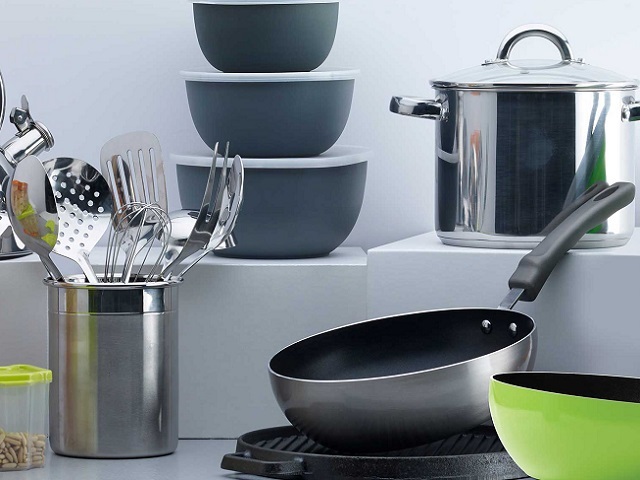 Perfect for starter-homes, Basic Essentials® offers simple, smart, and innovative kitchenware products at the value people crave. From our ceramic non-stick collection to the extra-durable pre-seasoned cast iron collection, to our new oven-to-table thermal shockproof bakeware collection, we have an entire line-up to keep your kitchen fully stocked and up-to-date. So if you want the best value in prep, cook and serve products, get the brand that puts the fun in functional – Basic Essentials.